With Thanksgiving a little over a month away, relieve your mind of dessert with this easy-to-prep-and-slice Sheet Pan Pumpkin Pie! Delicious Sheet Pan Pumpkin Pie- garnish with whip cream and puff pastry or serve as is. 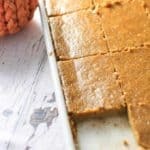 This is so much easier to serve than traditional pumpkin pie, and it’s so easy for leftovers- who wouldn’t want a bite of pumpkin pie in their lunchbox? 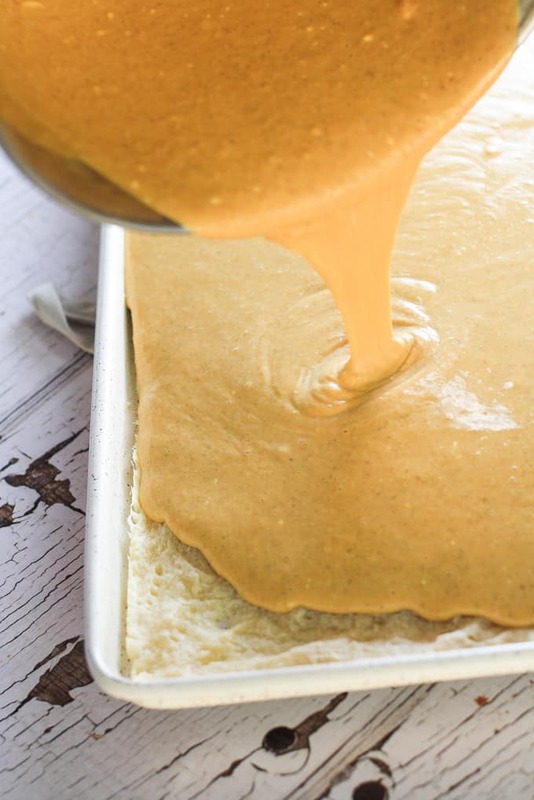 It feeds a crowd, it’s clean, and this Sheet Pan Pumpkin Pie will be the star of the dessert table. 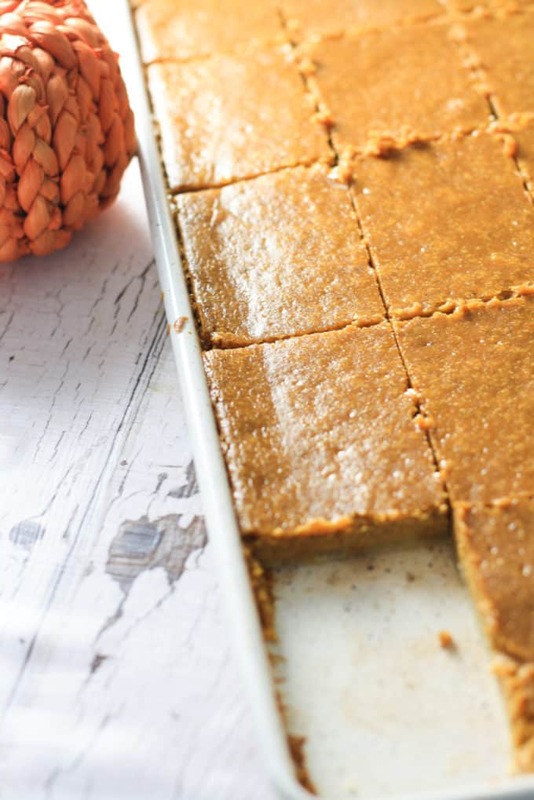 Because this pumpkin pie is cooked on a sheet pan, it’s a LITTLE creamier than traditional pumpkin pie, but with a little extra deliciousness on top! You will LOVE that you can slice it into even squares. Poke your crust to keep it from bubbling up. I make my own crust with this one- you just can’t beat homemade crust with pumpkin pie– but I won’t judge if you decide to buy store bought to save some time! Pour over lightly browned crust & bake! Pour your batter, bake it, slice it, eat it! We like to. keep things simple, ya know? I added some whip cream and puff pastry cutouts for mine. I’ve also seen people garnish with cute pumpkin candies, a single candy corn on top of whip cream, or even some orange sprinkles would become! If you’re starting to meal plan for Thanksgiving already– let me highlight a few for you. These are all dishes we make for our Thanksgiving- they are SO delicious, and of course- pretty easy. Cheesy Potatoes Au Gratin: This dish looks so fancy but it’s incredibly simple! No need to make a separate sauce. Toss the potatoes with cream, garlic and cheese and turn those potatoes on their side. Done! These babies are creamy, delicious, and I wish I could convey over text how truly amazing they are. Just do yourself a favor and make them. TRUST. ME. Autumn Salad with Roasted Sweet Potatoes & Maple Cider Vinaigrette: Because I really believe in a good hearty salad at Thanksgiving time. Traditional? Not so much, but some good whole vegetables are a nice break from all of the heavy food. Easy to make with store bought ingredients. This whole salad will become a family favorite! Creamy Slow Cooker Mashed Potatoes: Who has time to slave over a hot stove? 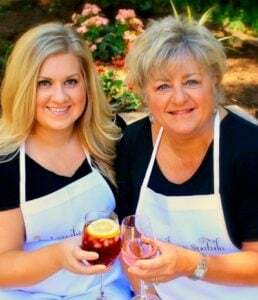 You have family on the way and you need time and space! Save yourself both time, oven space, AND your sanity by making these creamy slow cooker mashed potatoes! Roasted Sweet Potatoes with Cinnamon Pecan Crunch: Nothing brings out the flavor of veggies like roasting them! I love the fresh taste of the potatoes in this dish. You can actually taste the sweet potatoes in your sweet potato casserole…what a concept! The topping is sweet and delicious without being over the top (I’m looking at you marshmallow folks!) and it makes your house smell delicious. 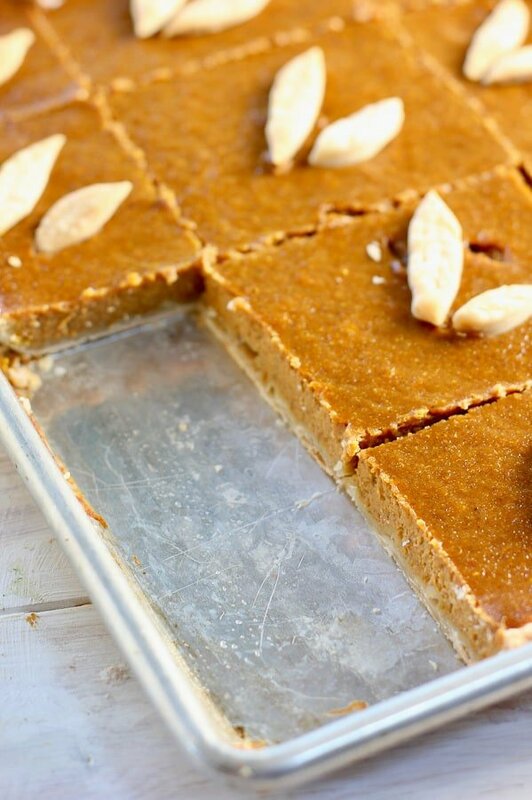 Some Other Great Tips for this Sheet Pan Pumpkin Pie! Make your own pie seasoning to your liking! I used pumpkin spice already mixed, but cinnamon, nutmeg, ginger, and some allspice work in a pinch. Mix and match. Less spicy? Forego the ginger. You could even add a little bit of black pepper if you like it with a kick. Pumpkin Pie is best served at room temperature. Let it sit on the counter for a couple hours beforehand. Did you know you can FREEZE this? You sure can! But…freeze the individual slices, wrap them tightly in clear plastic wrap. Don’t freeze it as a sheet pan, it will get soggy. Add in streusel topping if you desire. Follow this recipe for crunchy pecan topping. It is to die for. 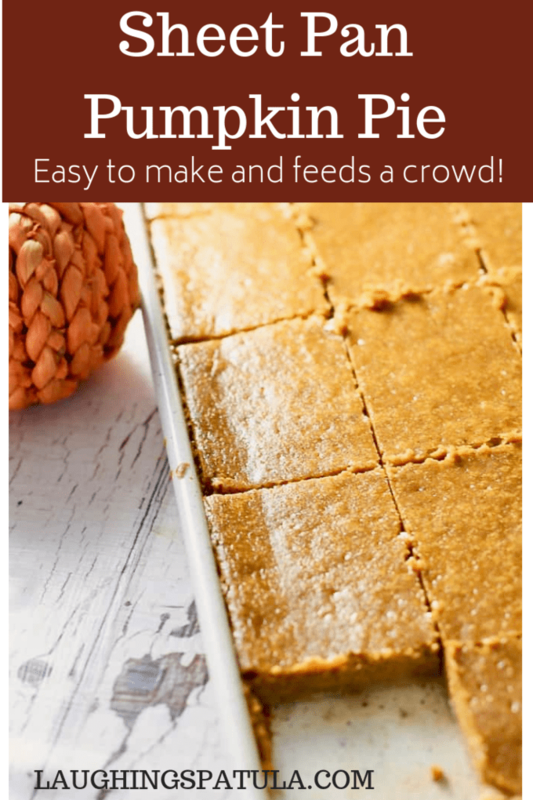 This easy to make Sheet Pan Pumpkin Pie is delicious, simple, and easy to serve for a crowd! 1.75 cups unsalted butter very cold and cubed. This is approximately 3.5 sticks. Pie Crust: In a kitchenaid style mixer (or using a hand mixer), mix butter, sugar, salt, and flour. Once 'grainy' and clumps form, gradually add in ice water. Form a dough ball, and refrigerate in Saran Wrap for 30-40 minutes. Using a rolling pin, roll out mixture to fit on 10x15 inch sheet pan. Preheat oven to 375. 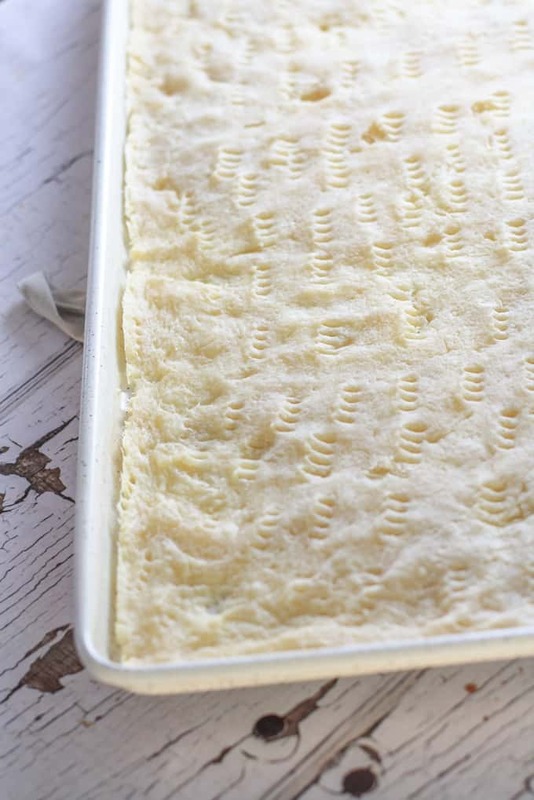 Roll out chilled dough onto 10x15 inch sheet pan. Poke with fork (see photo above). Bake for 15 minutes. In a separate bowl, mix pumpkin pie ingredients until fully smooth, and no lumps are present. Pour mixture onto pie crust and bake for 35-40 minutes, or until a toothpick comes out clean. Garnish with pie crust shapes, candy corn, vanilla ice cream or whip cream if desired. Did you know you can FREEZE this? You sure can! But...freeze the individual slices, wrap them tightly in clear plastic wrap. Don't freeze it as a sheet pan, it will get soggy. Great idea to feed a crowd! I’m gonna try this! !